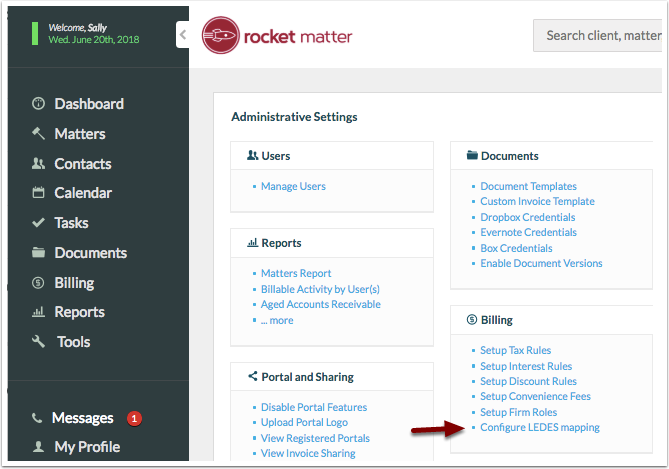 Rocket Matter Knowledge Base Insurance Defense Package - LEDES Billing- NEW!Setup and enable LEDES Billing - Start to finish! To enable LEDES, click the 'Settings' section on your left-hand navigation panel. Note: Setting up LEDES on a firm level will require Administrative access. Select 'Enable LEDES 1998B' in the bottom-right corner. *If you do not see the 'Enable LEDES 1998B' please contact support #1-888-432-1529. Click to 'Enable LEDES 1998B' and enter your Firm I.D. Click 'Save'. While still on the 'Settings' page, select ‘Configure LEDES mapping’. 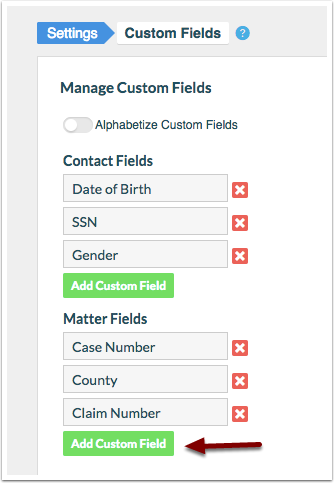 To customize your LEDES fields, change the 'Current Values' to the appropriate field. When finished, click 'Save Changes'. 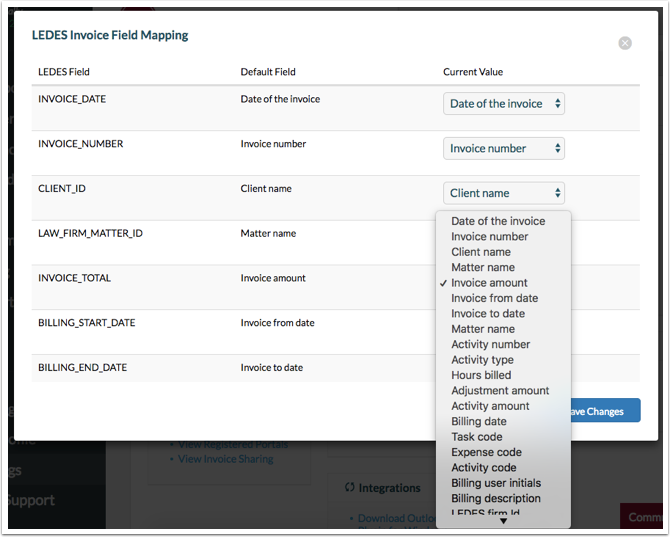 While remaining in 'Settings', click on ‘Manage Custom Fields’ in the bottom right of your page. 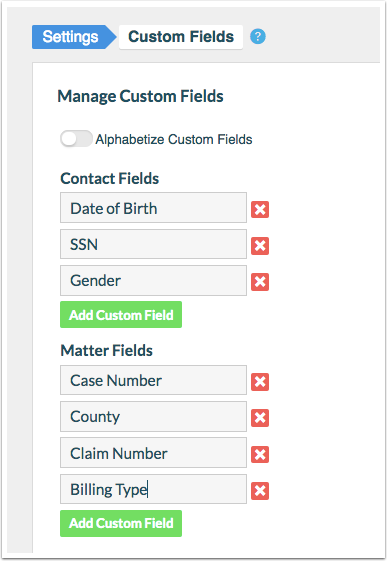 Under the 'Matter Fields' section, click the green ‘Add custom Field’. *This is not a mandatory step, but highly recommended. 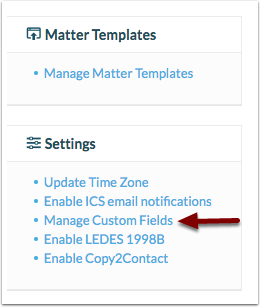 Entering this custom field will allow users to filter their billing by LEDES when running their batch billing. 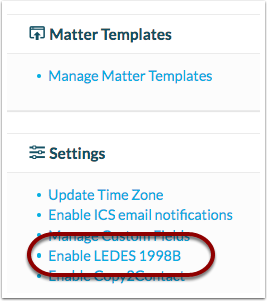 For users that only generate LEDES bills, this step is not applicable. For users that only generate some LEDES bills, a matter custom field will need to be created for each matter to filter these bills separately. Steps to learn how, please click here. Enter the phrase ‘Billing Type’ and click ‘OK’ in the bottom-right to save. Next, assign every user their designated timekeeper code. While in the ‘Settings’ section, select ‘Manage Users’. Click on the user’s name to edit their profile. *Optional: For any client that requires a different LEDES field mapping, this can be edited on a client level. 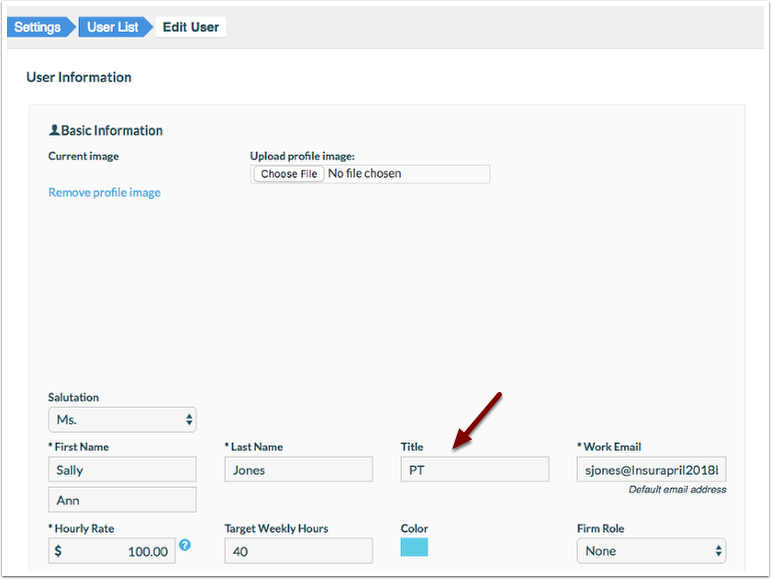 To edit a client's field mapping for all of their matters, go to the client contact record. In the top right-hand side of the screen, click ‘Edit LEDES Mapping’. 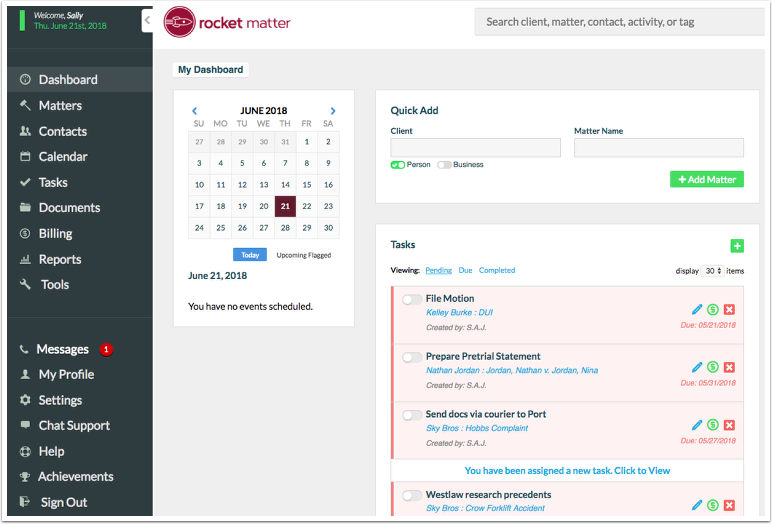 Our users can define which Rocket Matter data fields correspond to which LEDES headers. 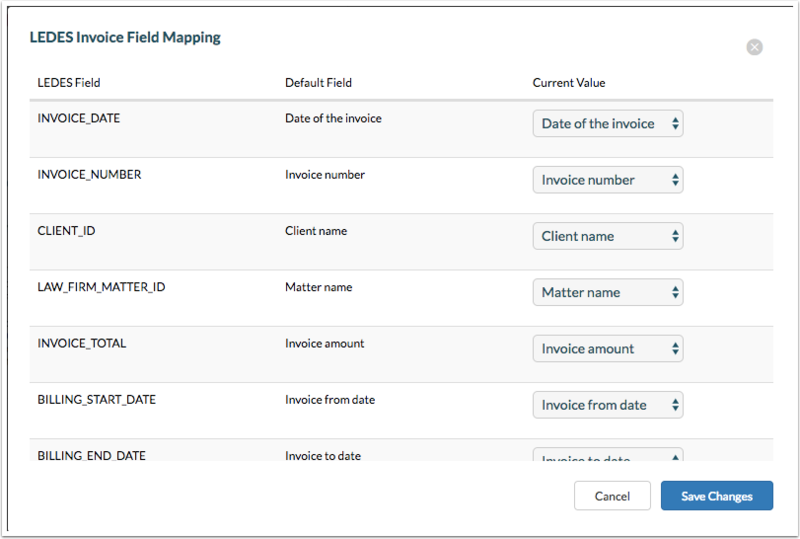 Our flexible LEDES configuration allows users to customize their own field mappings by client. To learn how to run reporting for your LEDES collections, click here! To learn the various ways that you can bill with LEDES, click here! For additional Support, please contact us at 888-432-1529. Prev: What is the Insurance Defense Package for LEDES Billing? Next: How to enable LEDES Billing.